Custom jewellery is a beautiful way to reward employees for excellent service and years of dedication. Jewellery is a timeless gift to show appreciation; an elegant way to honour someone. Jewellery is a beautiful keepsake and a reminder to employees that they have been recognized and valued for their years of service. A lovely piece of jewellery symbolizes a person’s commitment to excellence, achievement, and dedication. Diamond Recognition is a corporate jewellery manufacturer that can provide a variety of styles and ideas for your needs. When it comes to recognizing the value of your employees, it is important to have an expert support you in your design and style choice. Gold is a timeless and precious metal. It is traditional and people recognize its value and significance. People feel very honoured to receive a gold pendant, bracelet, pair of earrings, ring, or necklace. Whether it is worn everyday, on special occasions, or kept as a keepsake, receiving a piece of yellow, white, or rose gold jewellery will be valued for years. If you prefer an alternative to gold and something less traditional, Pandora bracelets and charms have become popular gifts to symbolize years of dedication and service. 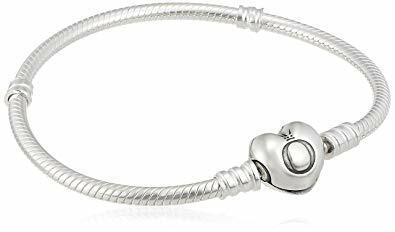 Pandora bracelets are unique in that you can customize and choose charms to reflect the personality of the recipient or the intention of the reward. The choices and styles are essentially limitless, ensuring that the reward will be valued.